Much of the idyllic resort area is now covered in lava. There have been several volcanic eruptions, earthquakes, and other natural disasters in the news in recent days. 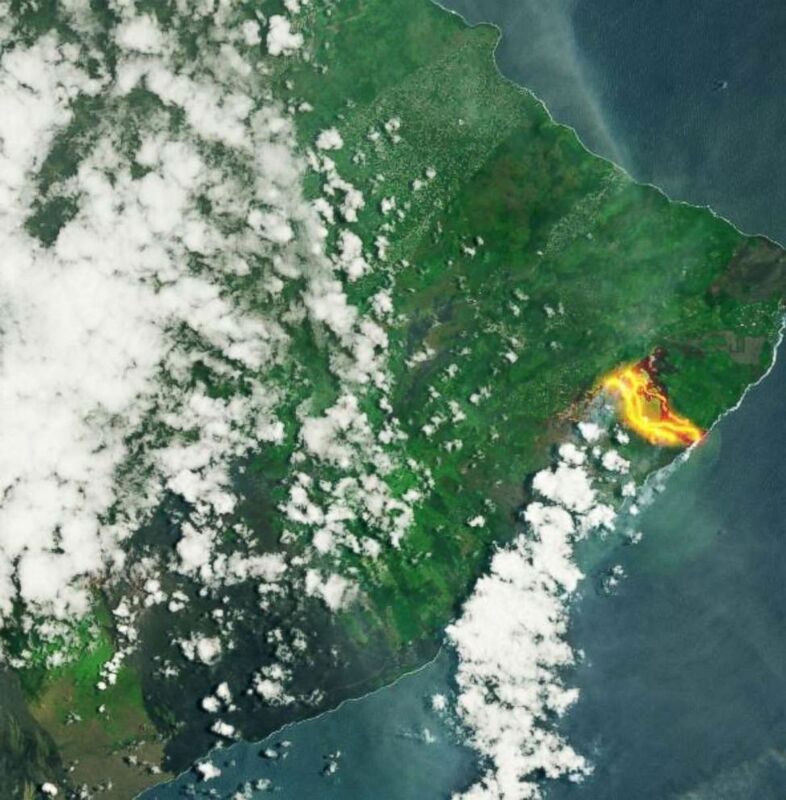 But one that’s gotten a lot of attention, in particular, is Hawaii’s Kilauea volcanic eruption — and with good reason. For starters, the lava flow from Kilauea has already wiped out hundreds of homes and other buildings. Now, Hawaii’s holiday resort Vacationland is the latest victim of Kilauea, and before and after photos captured Kilauea’s devastation. A coastal bay close to the volcano has quickly filled with lava after a recent eruption, and the Kapoho beach area sits right along that bay. It’s home to Vacationland, and Janet Snyder, a spokeswoman for Hawaii County, told The New York Times that overnight “hundreds” of homes were lost in the Kapoho Beach Lots and Vacationland area. Thankfully, many of the people in the affected area had already been mostly evacuated ahead of the lava flow. But the flow is creating quite the mess for residents to clean up once things settle down. Snyder said early Tuesday morning that everything except the northernmost tip of Kapoho Beach Lots has been overwhelmed by lava, and only the coast of Vacationland remained after the lava flow dangerously progressed, according to The Hawaii Tribune-Herald. Officials still aren’t even sure how many homes have been destroyed by lava, but with almost all of Vacationland and the Kapoho community covered, the assumption is that the number will be super high when all is said and done. Vacationland Hawaii is also called Kapoho Vacationland, and it’s a coastal subdivision on Hawaii’s Big Island. Mayor Harry Kim lives in the area, and his home was one of many to fall victim to Kilauea’s lava flow. According to County Managing Director Wil Okabe and CBS News, Kim “was very depressed” that he’s lost his vacation home to the destruction. Can you blame him? The Weatherboy Twitter account shares photos of the "large lava delta" that now extends into the ocean off of Hawaii and the Kapoho beach area. With thousands of people evacuating, hundreds of homes lost for good, and the lava potentially changing the landscape on the Big Island forever, Kilauea has clearly wreaked havoc for the people of Vacationland and Kapoho. And there’s still no sign that the latest releases of lava will wane anytime soon.